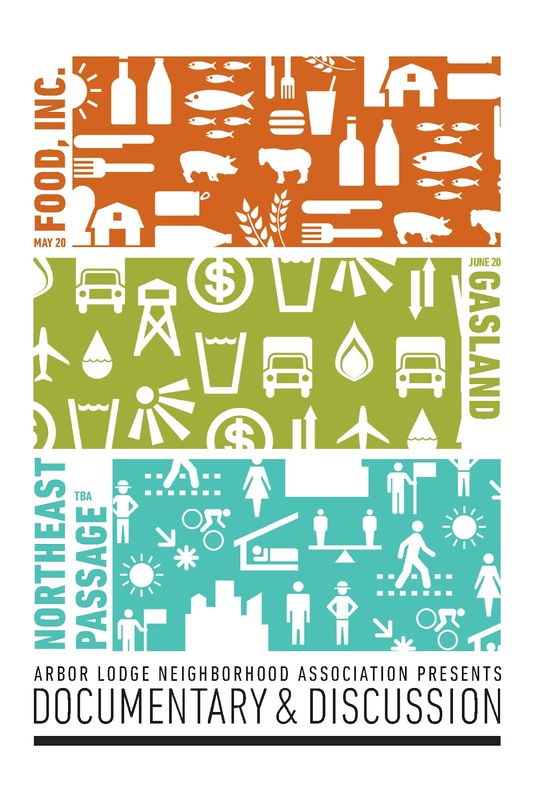 Arbor Lodge Neighborhood Association: Documentary & Discussion: Food, Inc. Documentary & Discussion: Food, Inc.
ALNA will be hosting a series of documentary showings this year. The first title will be Food, Inc., shown at the Kenton Firehouse on Sunday, May 20th, at 3:00. 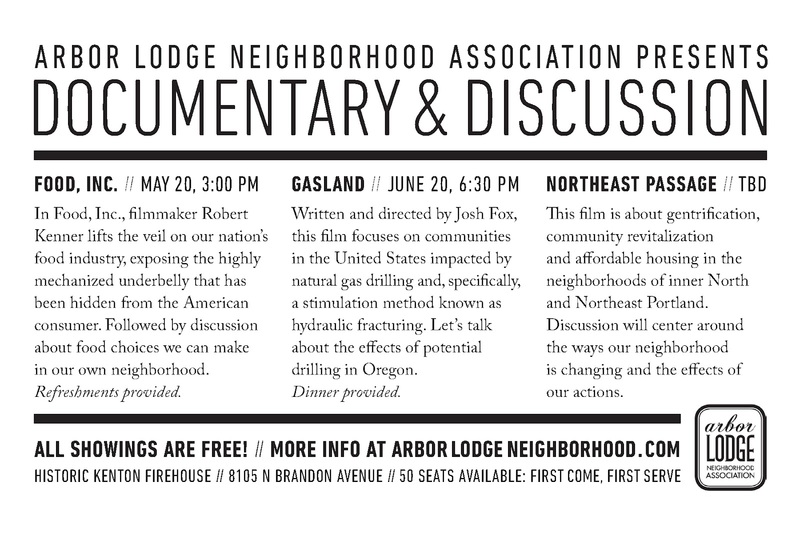 Arbor Lodge resident, Alex Santana (Assistant Professor of Philosophy at University of Portland), will be facilitating our discussion following the documentary. Please join us for this important dialogue to share ways we can improve the food sources in our community. Also, be sure to mark the next showing on your calendar! 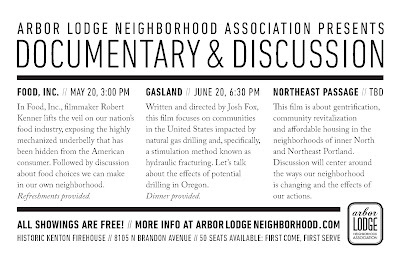 The second documentary and discussion event will be centered around fracking; Wednesday evening, June 20th (dinner provided). All events are free!